The humble sweet lupin (Lupinus angustifolius) might soon take on a newfound importance for those with type two diabetes everywhere. 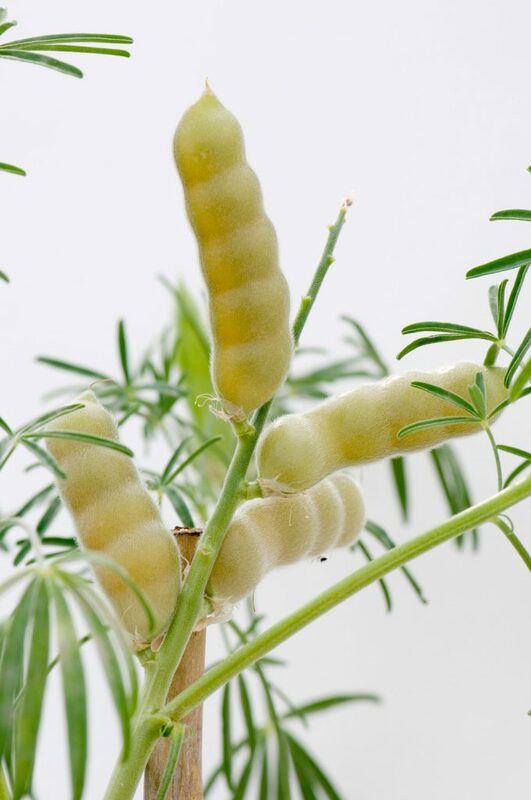 The legume is the subject of a research project at Curtin University in Perth, where chemical engineers and biomedical scientists are trying to extract a naturally occurring protein from lupins. Known as gamma conglutin, the protein has long been known to benefit type two diabetics by acting as an insulin mimetic in vitro, while lowering blood glucose in vivo. However, previous extraction methods were unable to produce gamma conglutin at volumes and purity levels that would make its extraction commercially viable for use by diabetic and pre-diabetic patients. 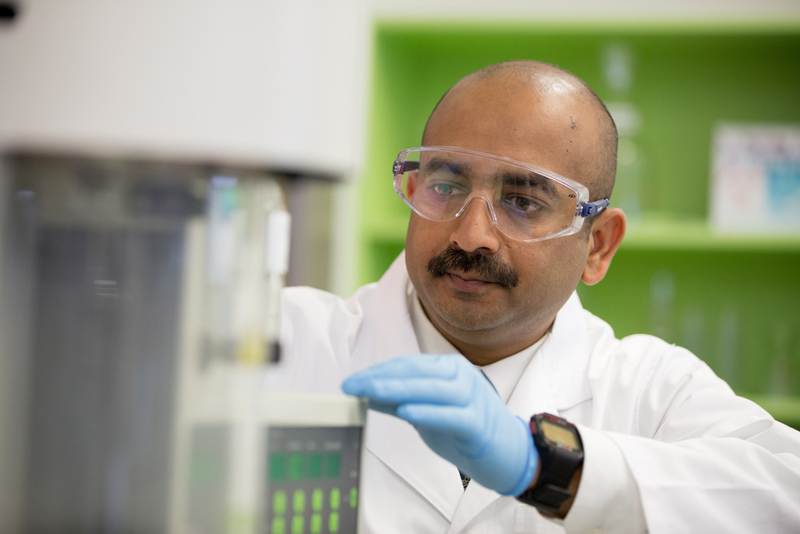 Curtin chemical engineer and team leader Dr Ranjeet Utikar told create the Schools of Chemical Engineering and Biomedical Sciences first started collaborating after meeting with Assistant Professor Stuart Johnson from the area of food science, who had published research promoting the health benefits of proteins in lupin seeds. “The published studies used low concentrations – about 30 per cent of gamma conglutin – so we wanted to determine whether the protein was responsible for this antidiabetic action,” he said. Type two diabetes occurs when the body becomes resistant to the normal effects of insulin or slowly loses its ability to produce insulin in the pancreas. It makes up 85 to 90 per cent of all diabetes cases in Australia and costs the local healthcare sector up to $6 billion annually, or $4025 per person without any associated complications. Existing forms of type two diabetes treatment centre on drugs that either inhibit glucose production from the liver, or stimulate insulin secretion from the pancreatic beta cells. Curtin’s head of Biomedical Sciences Professor Philip Newsholme said there are a number of previously published reports claiming gamma conglutin can act as an insulin mimetic and cause glucose uptake into muscle, so helping to reduce blood glucose. “However, the biological mechanisms remain largely unknown. Our work centres on studying the effect of gamma conglutin on pancreatic beta cell function and insulin secretion,” he said. Previous research has reported that utilising an adult zebra fish model and Alloxan induced acute diabetes and applying 100 mg of extracted and lyophilised proteins reduced blood sugar levels in the zebra fish by as much as 50 per cent. However, the researchers have yet to test the protein’s effects on other animal models or humans. Utikar said all lupin seeds contain gamma conglutin, but previous extraction methods have only been able to extract small quantities of up to a few milligrams. There are various methods for extracting gamma conglutin, he said. Scientists have essentially tried isolating gamma conglutin from an analytical perspective, but that method has only produced the protein in low concentrations. “What complicates matters is that gamma conglutin has different properties compared to other proteins found in lupins, so you can’t separate the protein mix and isolate gamma conglutin that way,” he said. 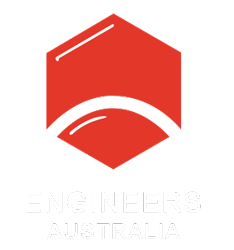 Curtin chemical engineer and team leader Dr Ranjeet Utikar. 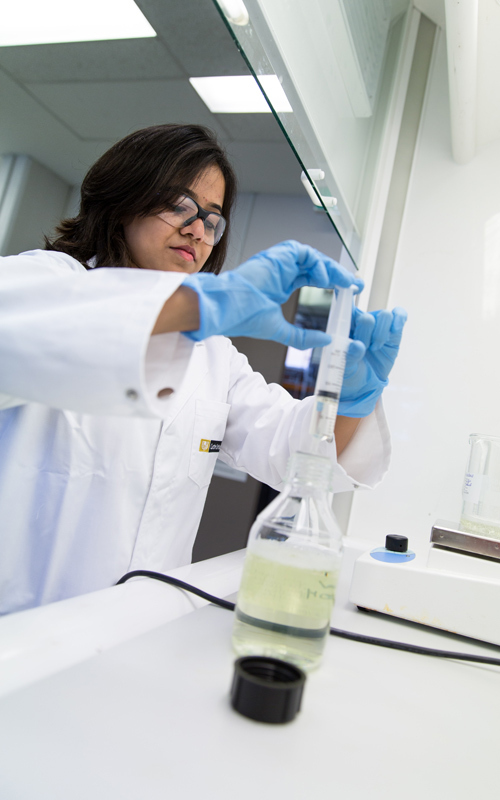 In the first step in the extraction process, the engineers tested a Western Australian variety of mature sweet lupin (Lupinus angustifolius) seeds. 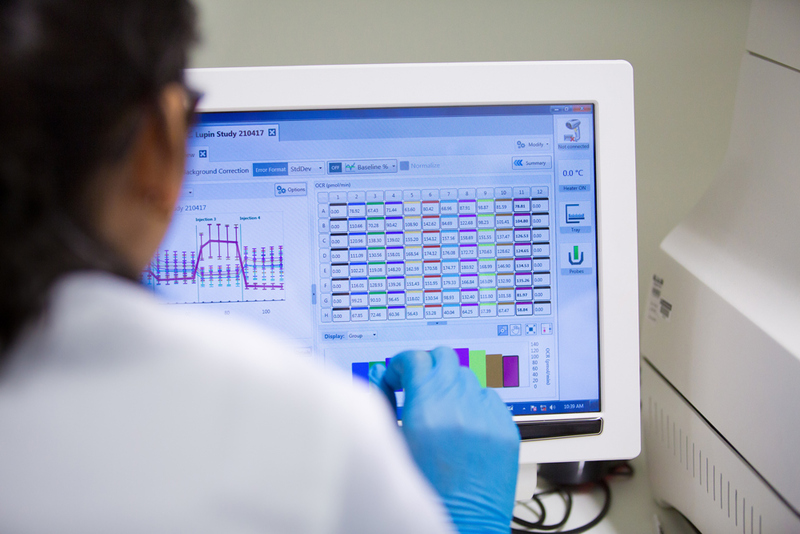 They initially followed a number of steps obtained from previous literature and optimised the protein extraction protocol. They first dehulled the seeds and separated the kernel from the seed coat. The kernels were then milled to lupin flour, which is further defatted and dried at 50ºC to desolventise. The engineers extracted the lupin proteins from the defatted flour with distilled water of different pH values in batch mode. After multiple tests the engineers found the profile of proteins with gamma conglutin was highest at pH 12 but at pH 9 proteins were also extracted without denaturation. Chemical engineering PhD student Sharmilee Mane with a sample. The percentage extraction was optimal at a flour-to-solvent ratio of 1:20, with the optimal time of extraction found to be 30 minutes, with decrease in protein yield thereafter. Utikar said an important part in developing the extraction process was examining the protein itself. “We tried to isolate as much pure gamma conglutin as possible and then study the protein’s characteristics, which ended up being very different characteristics compared to what normal lupin proteins have,” he said. “The protein’s physical and chemical characteristics were quite unique such as how it binds itself and the structure. “So we took those properties and created a solvent that would extract the gamma conglutin from the seeds according to the parameters that we needed,” he said. The engineers then set about purifying the gamma conglutin extract by using chromatography to screen several commercially available resins and study the absorption characteristics of gamma conglutin on the resin. Through this process they reached purity levels of 97 per cent, up from 70 per cent achieved through previous extraction methods. “The resin we selected for the process preserved the maximum binding capacity of the gamma conglutin as well as kept the absorption rate constant and it’s also a cost-effective product which will help make the process commercially viable,” Utikar said. In late 2017, the extraction process took out the Health Sciences category at the Curtinnovation awards as part of the university’s Research and Innovation Week. The head of Curtin’s School of Chemical and Petroleum Engineering Dr Vishnu Pareek said some of the biggest challenges involved streamlining the extraction process. “The conventional extraction process had a lot of steps, some of which are quite expensive,” he said. One of the other main challenges involved using solvents that were fit for use in food products. “The conventional extraction process used solvents that were not suitable for human consumption, as the original focus was not to develop a food grade/neutraceutical product,” he said. Analysing results from the lupin trial. Utikar said there are a few options to utilise gamma conglutin as a treatment option on a commercial scale. “The purified protein can be used in food products and it can also be turned into a supplement as a nutraceutical,” he said. The researchers are now working with a partner to submit a grant application to scale the process further and develop commercial opportunities.